Fjord Line's modern eco-friendly ship MS Stavangerfjord operates the Hirtshals-Stavanger-Bergen, Hirtshals-Langesund routes and the domestic route between Bergen and Stavanger. MS Stavangerfjord was launched in 2013 and, along with its sister ship MS Bergensfjord, has written international shipping history. Both ships were built by Bergen Group Fosen and they are the largest cruise ferries in the world to be run entirely on green gas (LNG). Enjoy a delicious meal in the Commander Buffet restaurant. You can choose whether to enjoy a meal in our à la carte brasserie, our large buffet restaurant, perhaps a simpler bite in the cafeteria or at the café on the top deck. Our luxurious suites offer enviable views with floor-to-ceiling windows. We’ve made sure that MS Stavangerfjord can satisfy every need the modern traveller may have in terms of comfort and amenities. So, you can choose from no less than 20 cabin options. 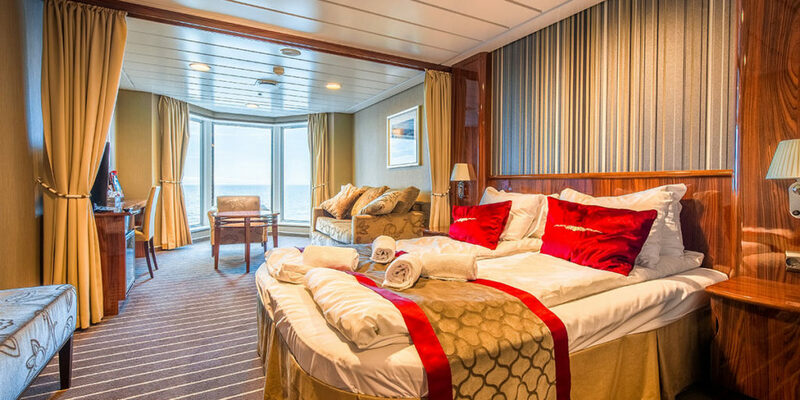 Comfort levels range from reclining seats to suites with fantastic views. 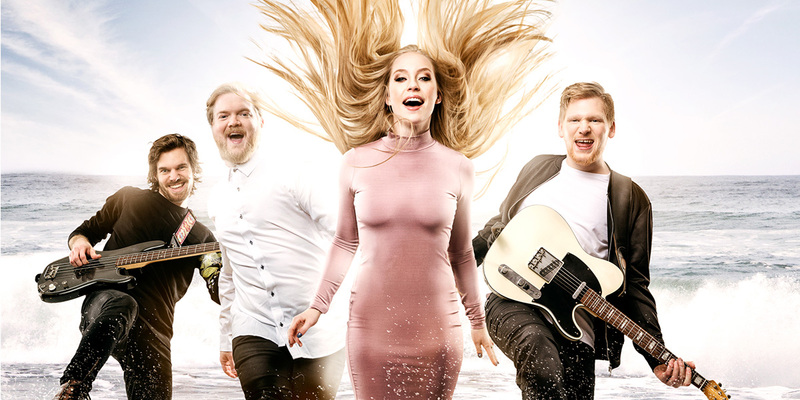 With their close harmony vocals, “Baythoven” are a sure-fire hit with passengers. Chat to your fellow travellers, or perhaps enjoy watching your home team take on their rivals on our big screen TV in the sports bar which is tailored for the purpose. Behind the bar in the main Fjord Lounge, our staff are ready to serve whatever you think best accompanies the entertainment on stage. You can rest assured that our entertainment has been carefully thought through, whether the audience is made up of grown-ups or the upcoming generation. There are great shopping opportunities on board MS Stavangerfjord. Shopping for quality products at bargain prices is part and parcel of a sea voyage. And a trip on MS Stavangerfjord is no exception. That’s why we’ve set aside a full 500 square metres for this purpose and pride ourselves on being up-to-date and price-conscious in our tax-free shop. 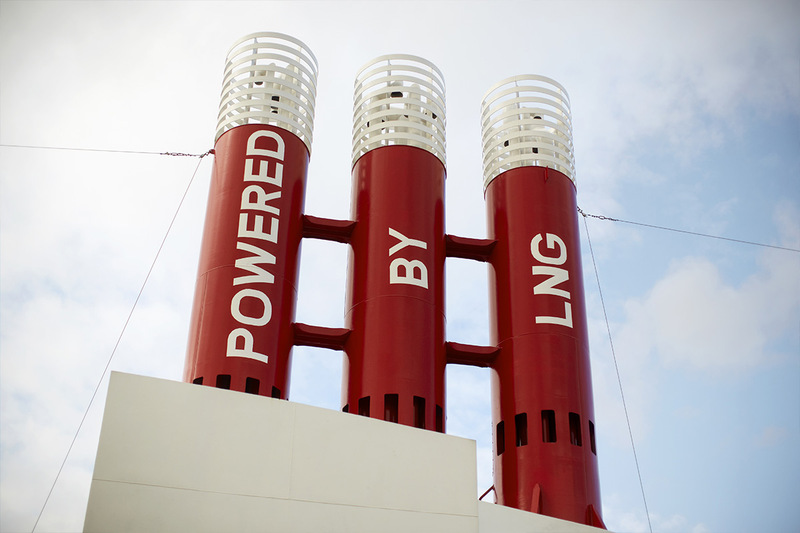 This means that the ships’ engines are exclusively powered by liquid natural gas (LNG), which produces much fewer greenhouse gas emissions than traditional heavy crude oil. This eco-friendly policy places Fjord Line at the forefront of new and stricter emissions regulations, making the environmental benefits significant along the coast and in the four seas that the cruise ferries cross.